A website is no good to the user of a smartphone if it does not display correctly or if the images take a long time to load. The viewer will simply navigate away from the site, likely visiting one of the competitors of the business. In order to avoid such a problem, savvy business owners look to the team at Huemor Designs to implement a responsive design. The responsively designed websites created by Huemor Designs allow companies to enjoy more visits from smartphone and smart watch users. Because the proportion of people who access the internet with these types of mobile devices continues to grow at a rapid pace, companies must keep up with the change in order to stay relevant. 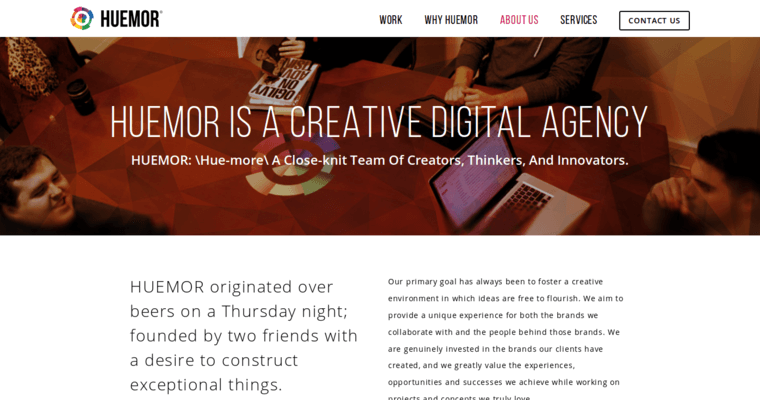 Huemor Designs ranks as one of the ten best responsive website design firms because their staff tests every aspect of a site's design on all types of mobile devices.